No good deed goes unpunished. That’s the one thing Brace Cordova is convinced of when he’s released from a five-year stretch in a military prison. 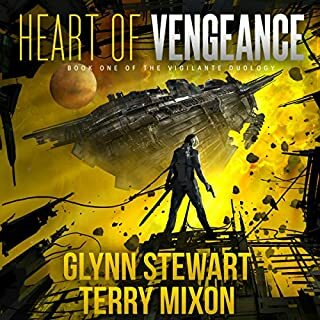 He figures the best he can do is spend the rest of his days as a freighter pilot and vicariously live out his dream of a Commonwealth Fleet career through his cousin, Commander Letessa Cordova. His plans unravel when he's accosted by gangsters, rescued by smugglers, and swept up in the search for an ancient Earth relic. Brace soon realizes he might not live long enough to ever get a taste of the quiet life. The Salvage Title journey begins! Harmon Tomeral wanted nothing more than to go to space. Sent to an orphanage when his parents were killed in a sandstorm, the odds were stacked against him. Despite that, he made it to the academy and graduated in the top 10 percent of his class...only to find out the fleet did what it wanted, regardless of regulations, and he came from the wrong planet. 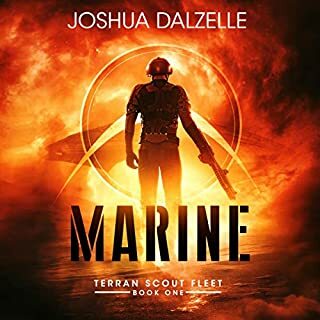 He didn’t give up his dream, though, because where there’s a will, there’s a loophole, and Harmon and his friends found their loophole in the Top Fleet Marine competition - the winner would get 100,000 credits, which would just be enough to start their own salvage company. If they could build a mech and win the competition, they would be set. But the fleet had already shown they didn’t want him in space, so it would be an uphill fight. Good thing his friends and crew were very much against fleet regulations. This is not my normal listen, but I absolutely enjoyed the story line and the narrator, KC Johnston, brings the characters to life, giving them their own unique personalities. I enjoyed these characters, and character portrayals A fast fun ride. Looking forward to the next books from this writer. Truly enjoyable and I would highly recommend. My friends, after my “Four books in Forty-eight hour” challenge, Mrs. Y was feeling very tired. My eyes are getting sore with my old age and I think it’s time to upgrade my glasses. But with that said, a beacon of hope came to me in the form of an Audio Book. Since I’m in the holiday spirit, I decided to gift you all with a review not of the book, but of the narrator. Why? We all need to listen to things from time to time. Get ready for the most amazing Mrs. Y Challenge yet, a review of Audio-Book Narrator KC Johnson in, “Salvage Title” by Kevin Steverson. I will be reviewing Salvage Title on its own, so don’t panic! I’ll put it on the Goodreads, Amazon, and on my blog. I went back and read it with my own eyeballs. But, as I am writing this, I really wanted to review KC Johnson. 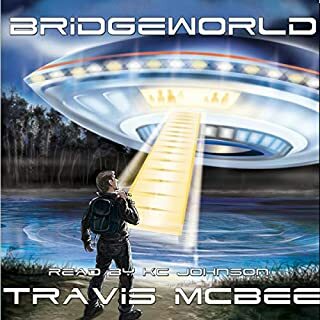 I follow KC and have been since one of my favorite Author-Tube writers Travis McBee said he was having his book narrated by KC. I found out through that video, KC has his own YouTube channel as well, and I follow it. But even though I like to watch his booth building and listen to his tones on YouTube, I wondered how well the equipment did for the actual Audible narration. KC also asked me “Hey have you read this book? Would you like to?” and sent me a copy of the audiobook. So like all Honest Reviews I do, I shall be detailed and take my time here. Audio Book Critique – Opinion only! I enjoyed the deep tones that were soothing when they needed to be and more clipped during faster dialogue. I love that KC puts effort into his dialects. 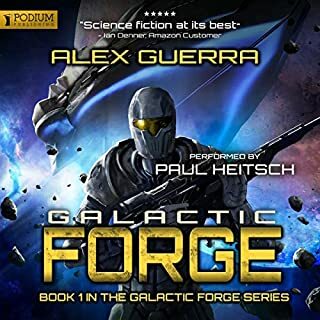 For things like a space story, when the author is taking the time to explain how something sounds, it’s wonderful when the narrator does just that. It really improves the story. He reads the books in a mix of baritone and bass depending on what is going on, and when he goes falsetto it’s usually for a feminine part. I also enjoyed that he was making the proper sounds for the specific aliens. Like I said earlier, when a narrator puts in the time to do so, it makes it better. But, this is my litmus test, is this book narration as good as James Marsters doing the Dresden Files? That’s my ultimate. James Marsters has this way about making me swoon both visually and verbally, so I use him as my gauge of voice. When it comes to audiobooks, it’s not about the visual. It’s about the imagination and imagery the narrator gives, and I feel he’s pretty darn close to Marsters perfection. Not perfect, but close. If I were writing books with a western, space, fantasy, or even dystopian setting, I’d pick KC to read my book. He has the timber for it, and he doesn’t struggle with space words. He also doesn’t balk at the sight of aliens speaking, and I enjoyed that. I’d probably recommend him to do romance, but it’d have to be something where he’s the lead male and can really be charming, he’s got a charming kind of voice and I think he’d do well with a charming male protagonist. I’m thinking more of a “Gambit” kind of character, southern and mischievous with a heaping dose of charisma, and yes I know that’s a comic book reference but there are many “Gambit” characters in romance. Another thing I truly enjoyed about KC’s performance was his pacing. Pacing for an audiobook is important, and should be only sped up if the listener speeds up the book at their choice. Sometimes, especially actors will speed up on their own and not take a good pace, and what that will do is make it jumbled when someone speeds the book up. That didn’t happen here. I tried all the speeds to test it, KC did wonderful regardless of pacing the person decides on, and I enjoyed that it was consistent and steady. That should be commended. He still kept the listener's attention at his pace, it well-trod, and it allowed me to speed it up without worry for lost or clipped words. Lastly, the listening was smooth. I enjoy a good audiobook while I’m driving especially. I have found that with my migraine triggers, music can bother me where words cannot. I didn’t hear any unnecessary music, nor did I hear any strange vocal changes that were off pitch. It was a very enjoyable listening experience overall. 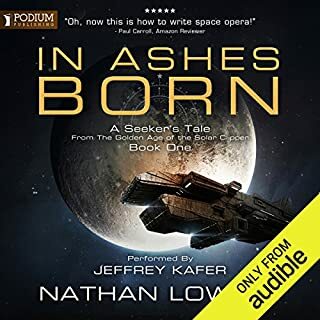 It’s really tough to score an audiobook and I need to go back and figure out proper scoring systems for this, but for now, I’ll give KC Johnson a 5-star review because I have nothing to complain about. I’d venture a guess it’s like a 96, but I need to figure out how to do this better going forward because a lot of audiobook narrators want to be reviewed as well. This helps them, just as much as it helps writers. I’m here to help the literary community. That’s basically my mission, self-imposed I know, but something I want to do. So for my part, KC did great! And you should check out his titles! Ordinarily i do not select books under 8hrs in length. I took a chance on this one, because it had great reviews while in print. I think the Narrator is new to Audibles. Anyway, i'm glad i did. Story line is unique, Characters are colorful, and the narrator paints a good visual picture for the listener to follow. Everyone who likes a good under-dog story (like i do), this one is for you. I hope books 2 & 3 are a little longer and come out real soon. 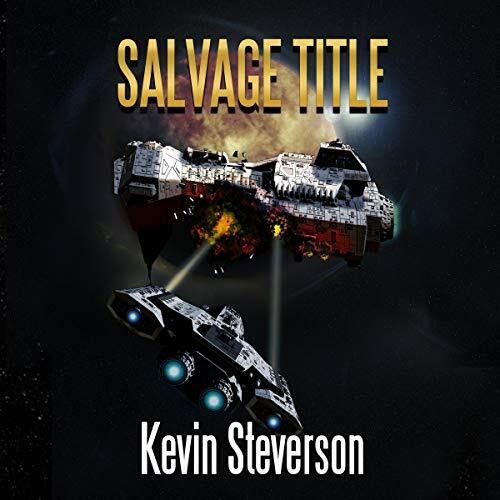 Salvage Title (The Salvage Title Trilogy Book 1) by Kevin Steverson, narrated by KC Johnston, was a fun, light listen. 5 stars for narration (I would give it more if it was allowed- for reals) and 4 stars for the story. First I’d like to say how fantastic the narrator, KC Johnston, is! He truly has a gift. He is in my top three narrators (Bahni Tuprin and Adam Verner are the other two, in no particular order). What’s the book about? The description sums it up fairly well. A group of people are on their ship Salvage Title, from there, the adventures begin. There is a good amount of strategy talk. AI (would love to see this expanded in the next book) and some humor. Planets and different life forms. 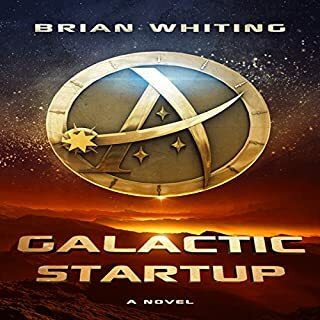 If you like space operas, give this one a listen. What I didn’t care for: some parts were a little too slow for me (took a long time to get the ship, but then the action picked up). There is lack of character development, which I hope is remedied in the next book. I will definitely be checking out the second book to see how it progresses (once on audible). Overall I would recommend- it’s a light, fun listen. There is certainly potential for this series to flourish. Parental warnings/trigger advisory: I do not recall any swearing. A kiss between a man and woman. There is death and fighting, but not in graphic detail. Weapons, such as missiles or like items. It would be a good read/listen for young adults. *Note I may have missed some items due to being sick with a nasty head cold, so I do apologize if I did. *I was given this free review copy audiobook at my request and have voluntarily left this review. Thank you for allowing me to listen and review the book! This story was a lot of fun to listen to, with thanks due to both the author for his creativity and fast-paced storyline, and the narrator KC Johnston for his delivery and bringing them at characters and species to life with his unique mix of voices! Awesome characters with a good storyline. The book starts out well and improves as the characters and plot are developed. I enjoyed listening to this while in a poor mood. It kept making me smile. If you enjoy science fiction, future predictions or under dogs, you should find this to be a great listen!! Science fiction isn't my go-to genre, but I took a chance and I'm glad I did. The characters, strange, brilliant and alien, came to life for me. I loved the main character Harmon and the underdog story. Steverson did an amazing job coming up with this story and Johnston did an amazing job narrating it. Bravo! Encore! This is not my usual genre, but I have to say I really enjoyed it. The story was engaging and well written. The narrator did a fantastic job bringing the story and the characters to life. I definitely look forward to the next in the series. First audiobook ever and glad I finally did this. I'm an avid reader, but my eyes hate me more and more every day. The reader did a great job with the voices and accents and I really felt like I was being pulled into the story. I wish the story was longer and had a bit more backstory, but was a great fast listen. Very pleased I finally did this and hope all audiobooks are at least this good, though I have a feeling this sets a high standard! can't wait for the rest of this trilogy, and hope there is more in this universe. Do yourself a favor and get this book! Loved this action packed book! I can totally see them making it into a movie. Nobody wanted them until now!! Nice book following Harmon Tomeral, as he tries to get into space, fighting internal politics holding him back. With his friends help his dream becomes reality. Then the system comes under attack, can Harmon & his friends prevent a massacre. Well read by KC Johnston, he keeps the story moving and delivers an enjoyable listening experience.